The Pregnancy and Newborn Screening Standards have been revised, at the request of National Services Division (NSD) of NHS National Services Scotland and Scottish Government, and are now out for an 8 week consultation period. During this time we are eager to obtain as much feedback as we can to ensure the final standards are fit for purpose. 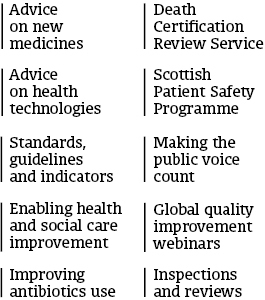 By updating the standards we are ensuring there is a consistent and equitable service across Scotland. The aim of the standards is to improve the screening service for pregnancy and newborn screening, which aims to allow women to make informed choices about their health and the health of their baby. The pregnancy and newborn screening programme differs to others in that it is essentially five screening services that are grouped together. Each service makes up a different aspect of a women’s journey through pregnancy and the first few weeks of a newborn’s life. To try and reflect this complexity within the programme, the pregnancy and newborn screening standards have been split into six service-specific documents to make a suite of standards. This has allowed us to align our standards more closely to the UK national screening committee (UK NSC) standards. The three pregnancy screening services within this programme are: fetal anomaly, haemoglobinopathies and Infectious Diseases in Pregnancy. The fetal anomaly screening programme is split into two parts, the first screens for downs syndrome – this may also identify other chromosomal abnormalities such as trisomy 18 (Edwards Syndrome) or trisomy 13 (Patau Syndrome) and the second looks for a variety of structural anomalies by ultrasound. Our standards focus on a wide range of aspects including the importance of timely diagnostic testing following a higher chance trisomy screen result. This includes giving women the opportunity to discuss the result, risks and benefits with an appropriate member of staff. Haemoglobinopathies in pregnancy screening aims to identify couples who are at risk of having an affected child and offer them the appropriate information to ensure they can make an informed choice about further management options. Our standards focus on a wide range of aspects including the importance of timing when carrying out this screening test. In the event a mother is identified as a carrier it is important that the biological father is offered testing by 12 weeks gestation. The overall aim of screening for Infectious Diseases in Pregnancy is to offer all eligible women in Scotland screening and provide a screening result. The aim is to identify infectious diseases (such as HIV, syphilis or HBV) early in pregnancy to allow for management interventions to be offered to the mother to reduce the chance of mother to child transmission. It also allows for appropriate assessment and management to be offered for both mother and unborn child. Our standards focus on a wide range of aspects including the importance of reoffering screening at a different point in pregnancy to, both, women who have declined screening earlier in their pregnancy and those who have received a negative result but who are at continued risk throughout their pregnancy. The two newborn screening services within this programme are: newborn bloodspot and newborn hearing. Newborn bloodspot screening aims to take a blood sample from a newborn baby’s heel, by five days of age, to determine if there are any health issues. Early identification would improve health outcomes and allow for appropriate management of treatment options. Our standards focus on a wide range of aspects including the importance of taking a high quality bloodspot sample to ensure babies with a positive result are identified and treated as quickly as possible. The overall aim of screening for newborn hearing is to test the hearing of newborn babies in the first few weeks of life. Our standards focus on a wide range of aspects including ensuring the high quality of the initial screening test. We have also developed a generic standard that will apply to the services providing pregnancy and newborn screening within NHSScotland. They will drive change by supporting boards to assess the quality of their service while simultaneously supporting improvement in the service provided. The standards should be read in conjunction with the various guidelines and national policies available. The majority of our population have experience of pregnancy from one perspective or another, and we would value people’s contributions to ensure that the standards are the best they can possibly be and truly work to improve the quality of screening services. Surindra Maharaj is a Consultant Obstetrician with NHS Lanarkshire and Chair of the Pregnancy and Newborn Screening Standards Development Group. Visit our website to read the standards and take part in our consultation.